Here are two fun stocking stuffer book ideas from Zonderkidz™ for the children on your Christmas list. 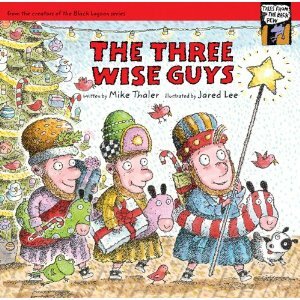 Better yet….stock up on several fun books from Zonderkidz™ and you have a fantastic Christmas present. The text is silly and my kids and I were giggling. The zany illustrations fit the story perfectly. What I appreciate most is the focus on God, church and the bible done in such a way that it captured my children’s attention throughout the story. 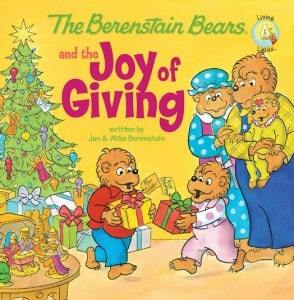 The Berenstain Bears and the Joy of Giving by Jan & Mike Berenstain is always one of my favorites. I grew up reading the Berenstain books series and love the opportunity to share the stories with my own children. The Berenstain Bears and the Joy of Giving is the perfect story to teach my children a lesson in the true meaning of Christmas. It is delightful to me that my children seem to enjoy the loveable Berenstain Bears as much as I did as a kid and this has been a much requested book this holiday season during story time. It appears the lessons in the story are working too because both my 4 and 5 year olds have requested to make presents for their family members this year.